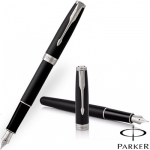 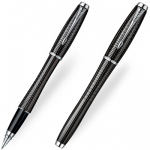 The Parker Sonnet Matte Black Gold Trim Fountain pen is a stylish and practical Fountain pen. 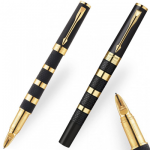 With a black matte finish and Gold plate traditional finish trim. 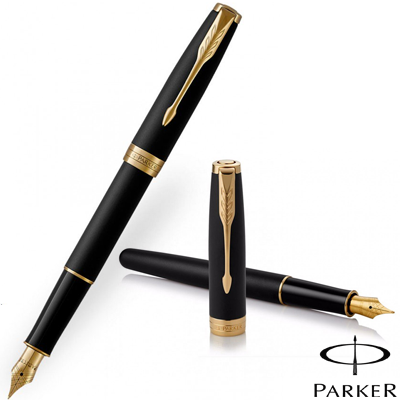 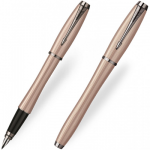 The Popular Parker Sonnet Fountain pen with its slender look and gold plated nib is still a classic pen to own. 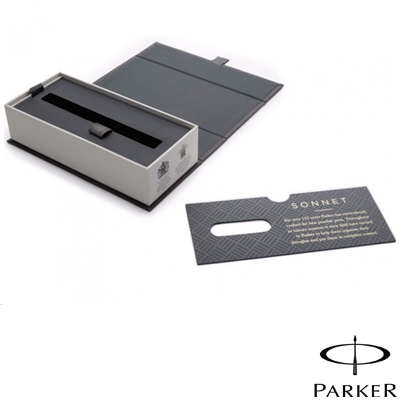 Comes in a Nice gift box.